Yesterday hundreds of people protested against unemployment and lack of essential services. Crisis and tensions push Christians to flee: at least one family a month leaves the city. Msgr. Habib: demonstrations and armed clashes between tribes, there is a precarious situation. But the faithful want to celebrate Advent, with masses and prayer meetings. Basra (AsiaNews) - The Christian community is preparing to live the period of Advent that brings us closer to Christmas "in a situation of persistent violence. 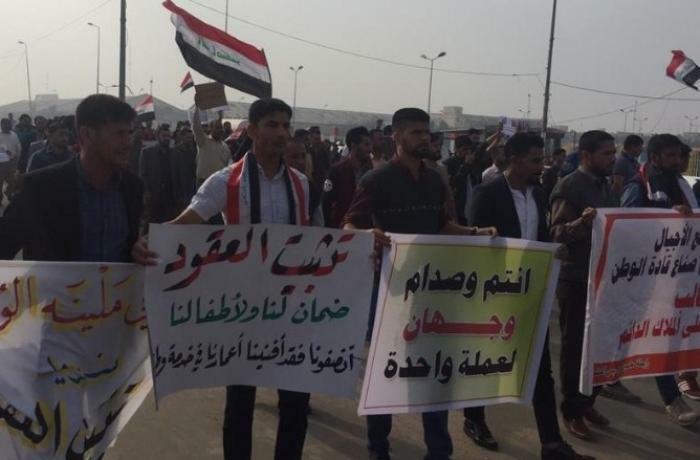 Every two or three days at most there are new demonstrations of the unemployed, young people and adults looking for work “ Mgr Alnaufali Habib Jajou, Chaldean archbishop of Basra, in southern Iraq tells AsiaNews. Since last July has been the scene of violence and demonstrations for an increasingly critical socio-economic situation. To this, the prelate continues, there are "clashes between tribes, who use guns and firearms" to settle "disputes and personal issues: this happens at least once a week". The metropolis of southern Iraq has long been hit by a severe water crisis and is the scene of demonstrations. Citizens protest against the poor quality of public services, unemployment (10% according to official figures, but with peaks up to 60% among young people) and endemic corruption. The Basra region includes around 90% of the country's hydrocarbon resources; however, only 1% of the workforce comes from the area. Because of the bloody protests (23 victims confirmed since 8 July), the local Church has decided to suspend cultural activities and catechism. At that time the Archbishop had warned of a possible escalation. Once upon a time the Christians of Basra were a significant part of the city, many of them exponents of the merchant class. However, in recent years the community has declined, even if in the south it has not suffered the same persecutions experienced in Mosul, Baghdad, Kirkuk or in the plain of Nineveh. "These days - says Msgr. Habib Jajou - another family has emigrated to Jordan because of the poor conditions. In general, at least one family a month leaves ". Yesterday, meanwhile, hundreds of people took to the streets to protest the lack of work and the lack of essential services. 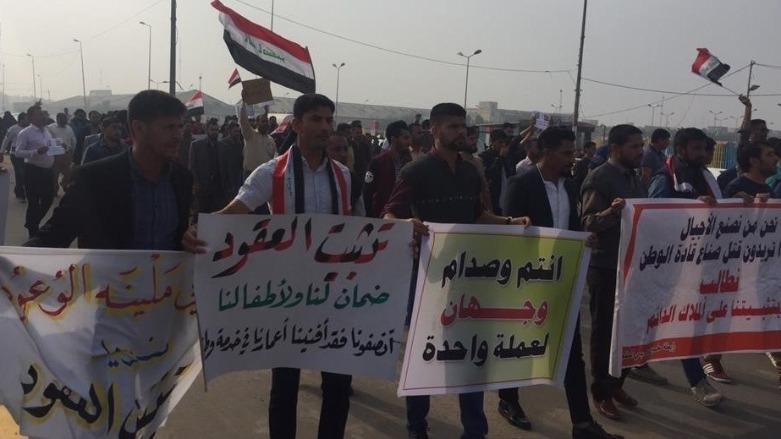 Among these were dozens of teachers who marched to the governorate, blocking the streets and chanting slogans against the government. "You and Saddam [Hussein, the former dictator] are two sides of the same coin." Many call for the area to be converted into an "autonomous region" to benefit more from exports (95% of Iraq's total oil come from this area) of oil. In a situation of crisis and tension, Christians began celebrations in preparation for Christmas. In spite of the fears of violence, says the Archbishop, "we will continue to celebrate masses and families will continue to meet in small groups in individual apartments, made available in turn, for prayers and meetings". Although in a minor tone, a special Santa Claus will bring gifts and sweets to the children "and we will organize a small party, even if people do not like to stay out for a long time" for fear of being involved in demonstrations or attacks. Finally, between December 25 and January 6, according to tradition, although in a minor tone, there will be "exchanges of greetings and traditional visits to relatives and friends". According to recent estimates, today only a little more than 10% of the original population remained, a few hundred compared to the 3,000 Christian families once present in the area. In September 2015, the local community celebrated the inauguration of the first Christian museum in southern Iraq; it houses more than 200 religious artifacts, documents, liturgical furnishings, photographs, clothes and furniture, some of which date back to the seventeenth century.